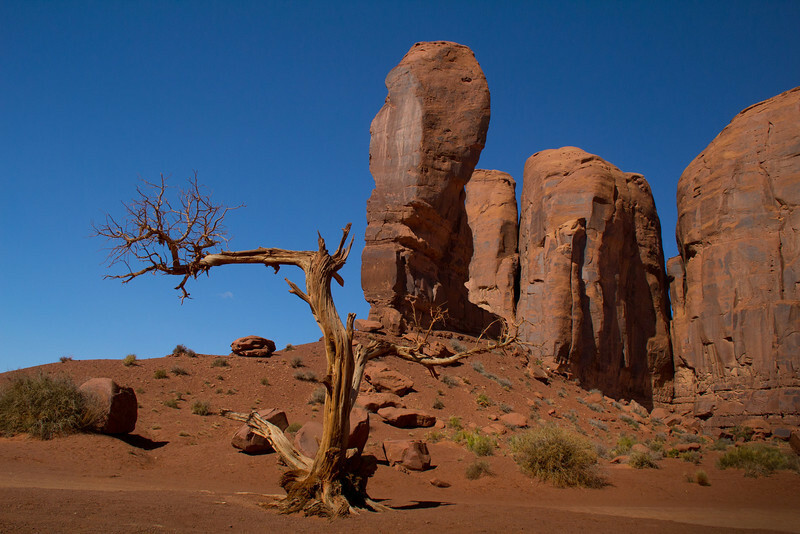 Hiring a personal guide to see Monument Valley is a great way to enjoy the park. It is totally on Navaho land and only native Navaho people can give tours. Road access to the public within the park is limited, and some of the scenes in this gallery were in restricted areas with only 4 wheel drive roads to get there. It was an interesting, peaceful and informative day. All of these photos were taken on a warm and windy Friday in mid March, 2013 except Church Rock and Goosenecks State Park, which were from the afternoon before. In terms of color, the midday light was some of the hottest and harshest I have ever dealt with. The "Thumb", a free-standing formation which also resembles a western boot. It is approximately 100 feet high.